Heisei VS Showa: Armored Rider Fifteen and New Rider Arms Revealed! 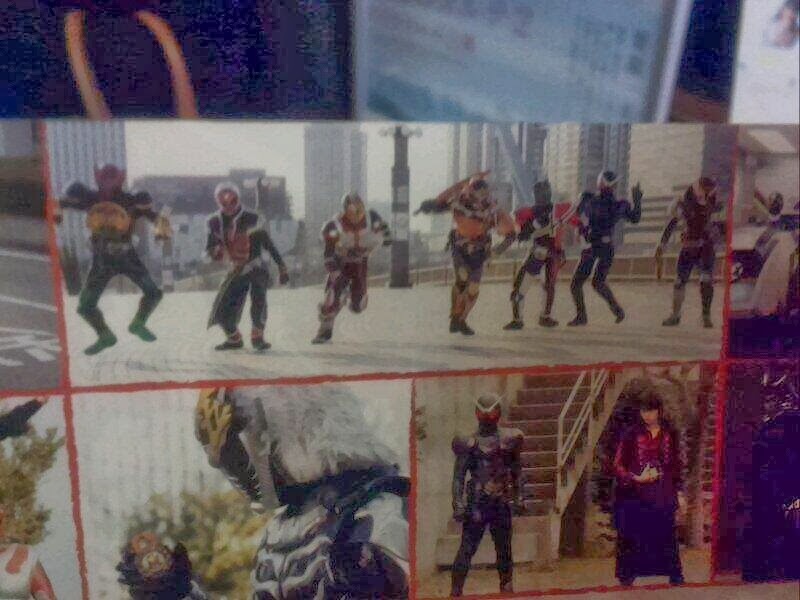 Additional scans of the up coming Heisei VS Showa Kamen Rider movie have surfaced. The new images reveals the villain for the film...Kamen Rider Fifteen! While Fifteen is a Gaim Rider, the interesting thing is that his Lock Seed doesn’t seem to be based on any kind of fruit but instead resembling a skeleton. 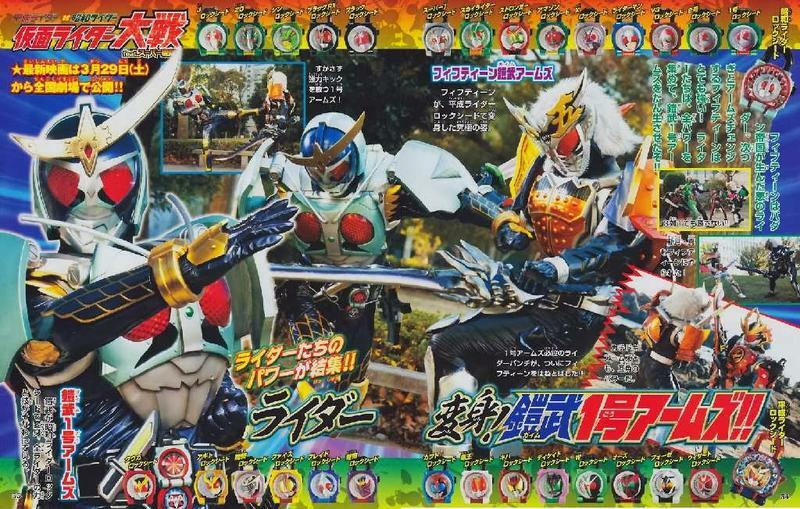 Other scans have revealed new Decade Arms for Gaim and a Fourze Arms for Fifteen based on whom seems to be holding a weapon based on the Barizun Sword of Cosmic States. 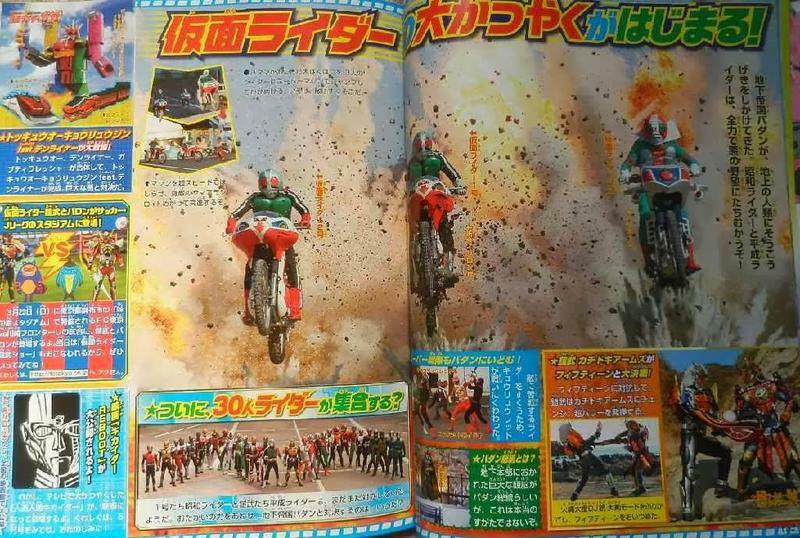 Additionally, the scan finally reveals some details about the Super Sentai portion of the movie, show casing that Tokkyuger and Kyoryuger will be making an appearance. 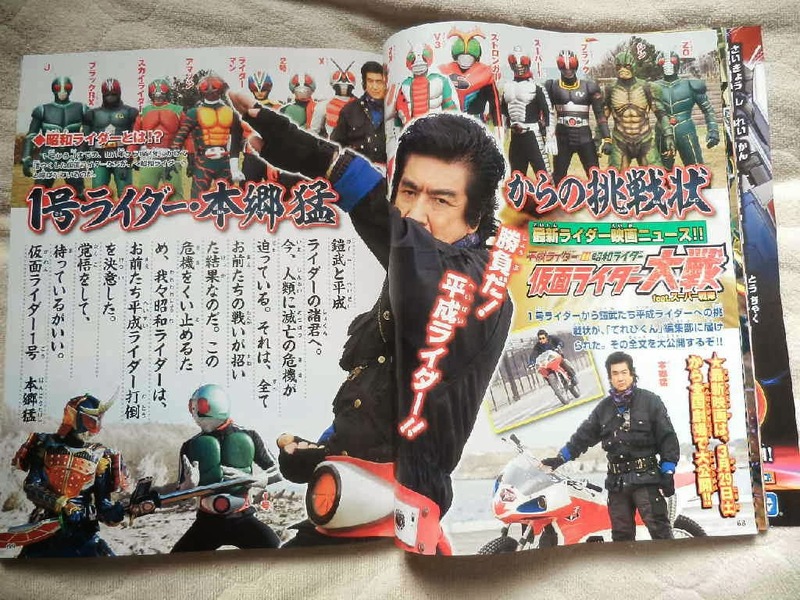 New details for the Heisei Rider vs. Showa Rider: Kamen Rider War feat. Super Sentai has surfaced online. Some of the details include the film's plot and how is Underground Empire Badan involved in this film. Underground Empire Badan, from the Kamen Rider ZX special and the main villain organization of the Kamen Rider SPIRITS manga will make their first official on-screen appearance almost 30 years after the special ended. In the film, Takeshi Hongo aka Kamen Rider 1 wants to defeat Badan, and in order to that, he must defeat Kamen Rider Gaim. But for what reason? And now, Kouta tries his best to convince Hongo that he is an ally of justice. Joining the cast is Shun Suguta who will reprise his role as Ryo Murasame aka Kamen Rider ZX, almost 30 years after the end of the TV special. 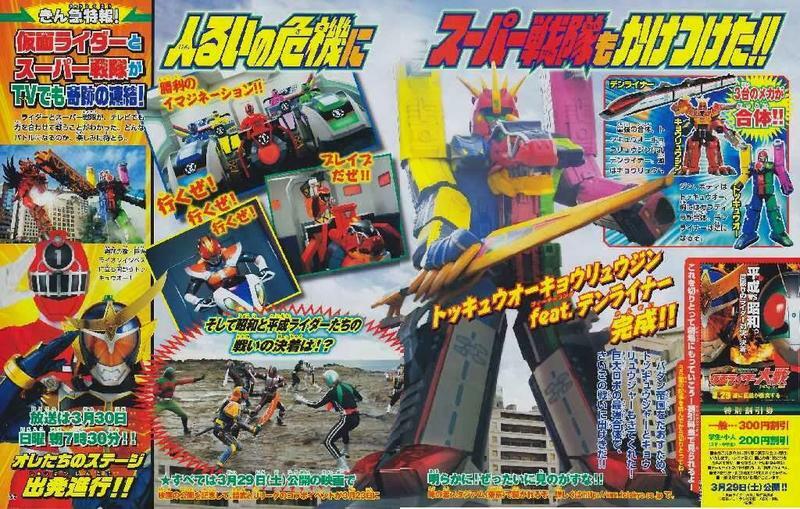 Also revealed in the scan is the return of Tiger-Roid, Ryo's friend during the time he under Badan's control and Ambassador Darkness, one of Badan's generals. 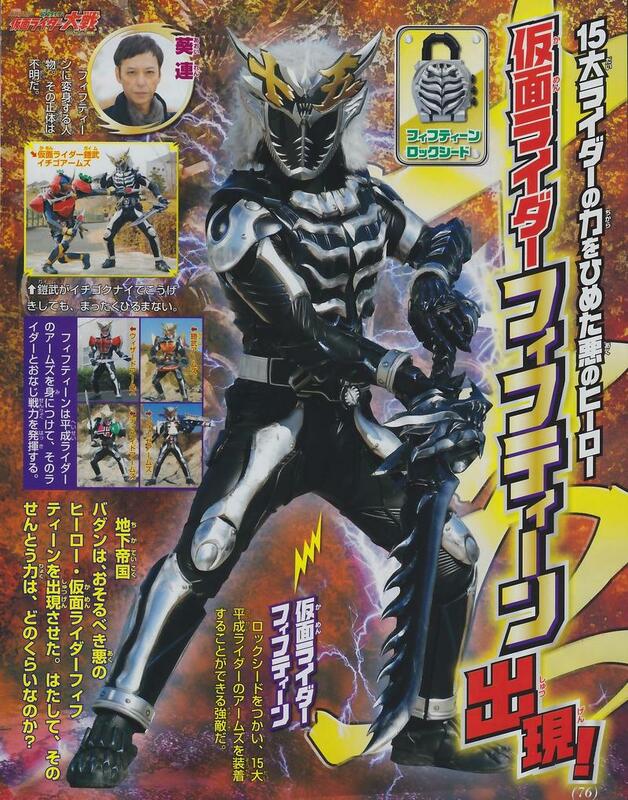 Speaking of Badan, they created a new Kamen Rider in the form of Kamen Rider Fifteen! Fifteen is Ren Aoi (played by Itao Itsuji) and he uses the Fifteen Lock Seed and can use the Legend Rider Lock Seeds of the 15 Heisei Riders! As seen in the scan, he used the Decade Arms, Gaim Arms, Fourze Arms and Wizard Arms. Seen above are some of the fights that will happen in the movie... and it also confirmed the feat. Super Sentai part of the film. The Kyoryugers and the ToQGers will appear in the film. As previously reported, Shun Sugata will once again play Ryo Murasame aka Kamen Rider ZX in the upcoming Kamen Rider War but according to a magazine, he will also play another role in the film. Accordingly, he will also play the role of Ambassador Darkness, the leader of Underground Empire Badan. In the Kamen Rider ZX special, Ambassador Darkness was played by the late Kenji Ushio. Ich finde das Kamen Rider Fifteen ganz cool aussieht. Von Fifteen bin ich jetzt nicht allzu begeistert, aber von Nadeshiko abgesehen bin ich eh nicht so der Movie-Rider-Fan. Mal ne blöde Frage: Kamen Rider G ist zwar ne Parodie aber eigentlich gehört er ja schon ins Rider Universum (So kam es zum. im Film rüber. Warum tauscht der eigentlich nicht mehr auf? Kamen Rider G ist nicht wirklich teil von Kamen Rider wie es jetzt die anderen Rider sind. G ist quasi in der hinsicht was Akibaranger für Sentai ist. Das mit Decade und den andren Rider Charakteren war ja auch nur als Gag angedacht. G gehört jedoch nicht Offiziell zum großen übergreifenden Rider Kosmos. Fans now have the power to decide on who will win in the final battle in the Heisei Rider vs. Showa Rider: Kamen Rider War feat. Super Sentai film! 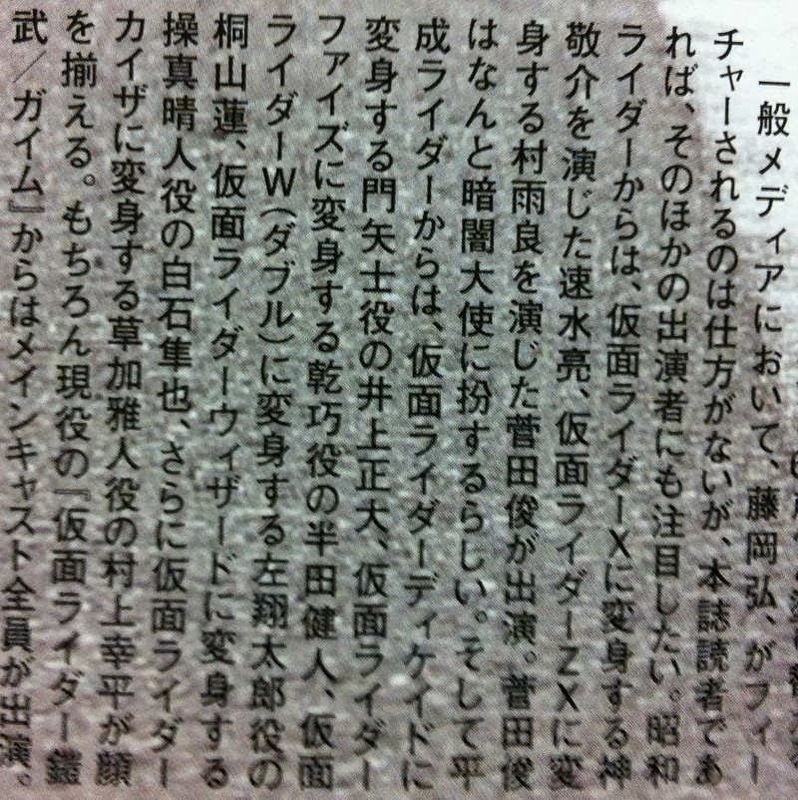 Similar to the Kamen Rider Ryuki 13 Riders Special, the producers prepared two endings, one ending depicts the the Heisei Riders win, and one in which the Showa Riders win. But only one will be shown in theaters. Voting started last February 9th at 8 am (Japan time) and will continue until March 28, the day before the film opens. As of this writing, the Showa Riders are winning with 71,070 votes (55.8%) vs. the Heisei Riders with 56,319 votes (44.2%). Who will win in this epic showdown? The Heisei Riders or the Showa Riders? It's time to pick you side! The official Kamen Rider GIRLS website confirmed that the girls will perform the ending theme of the upcoming Heisei Rider vs. Showa Rider: Kamen Rider War feat. Super Sentai film. 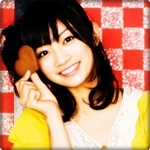 The song entitled "Mission Complete", this song is composed and arranged by Shuhei Naruse and with lyrics by DJ HurryKenn. The song is part of the girls' second album. The 2nd album will be released in three editions, TYPE-A (CD+DVD), TYPE-B (CD+DVD) and TYPE-C (CD). TYPE-A's DVD is the group's music videos while TYPE-B's DVD is the group's Shibuya event. Über die Rider Chips hätte ich mich auch sehr gefreut. Hatte mich sehr gefreut als sie für Wizard wieder Musik gemacht hatten. MyNavi reports that voice actors Kenichi Suzumura and Hiroshi Kamiya will appear as guest characters in the Heisei Rider vs. Showa Rider: Kamen Rider War feat. Super Sentai film. 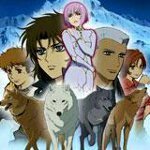 The roles of these voice actors are not yet announced. Kenichi Suzumura previously played Ryutaros, a recurring character in the Kamen Rider Den-O TV series and it's related spin-off films. Hiroshi Kamiya on the other hand, played the Ghost Imagin in the Farewell Kamen Rider Den-O: The Final Countfown film. 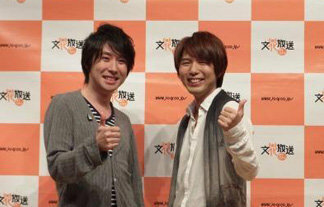 Currently the two are hosts of Toei's Radio Ranger radio program. Kamen Rider War is set to open on March 29 in Japan. 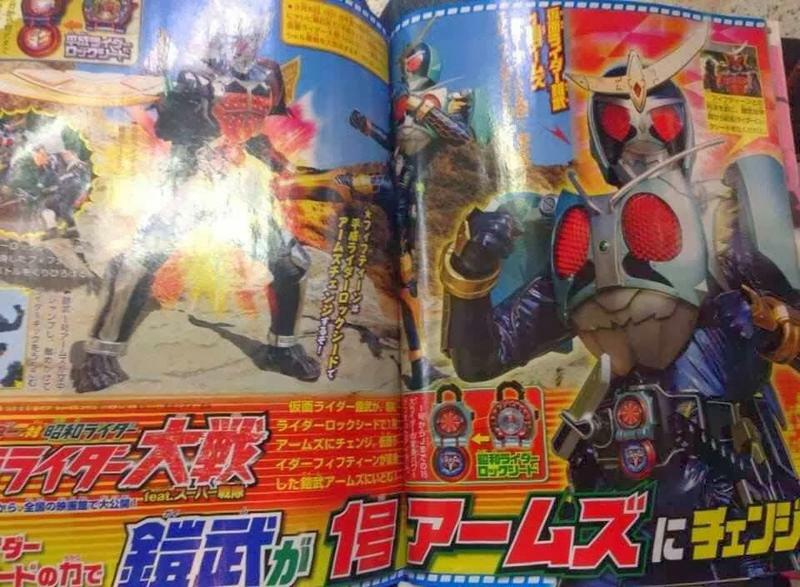 Two new Lock Seeds has been reported to be called as the Showa Lock Seed and the Heisei Seed will be appearing in the Heisei Rider vs. Showa Rider: Kamen Rider War feat. Super Sentai film. And as this news floats, a new photo came out showing these Lock Seeds in action! 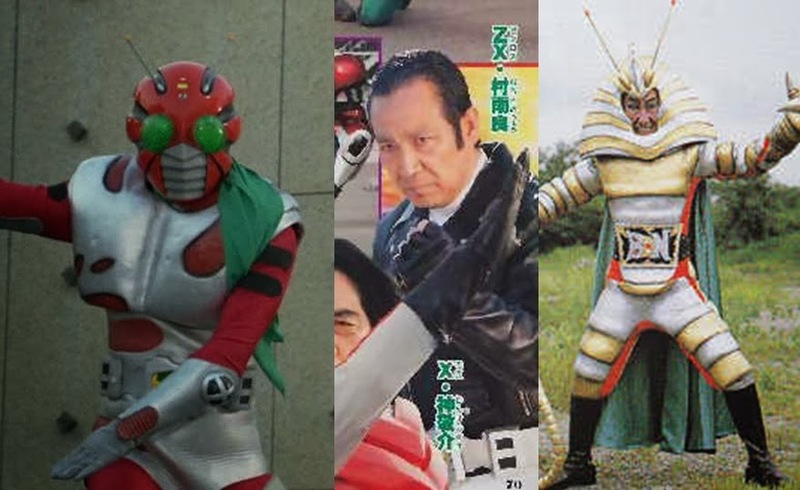 A Rider Created by the Badan Empire named Kamen Rider Fifteen has the ability to use Lock Seeds which are based on the Heisei Era Riders. He then uses the Heisei Rider Lock Seed to transform into Kamen Rider Fifteen Gaim Arms. To counter this, Kamen Rider Gaim uses the Showa Rider Lock Seed to transform into Kamen Rider Gaim #1 Arms! The ending theme of the Heisei Rider vs. Showa Rider: Kamen Rider War feat. Super Sentai will be determined on who will win in the Heisei Riders and Showa Riders poll for the film. If the Heisei Riders win, the film's ending theme is "Mission Complete" by the Kamen Rider GIRLS. Said theme was previously reported to be the film's ending theme. If the Showa Riders win, the film's ending theme is "Dragon Road 2014" by Akira Kushida and the Kamen Rider GIRLS. As of March 8, 2014, the Showa Riders are still leading the polls with 1,201,167 votes, which is 59.8% of the total votes. 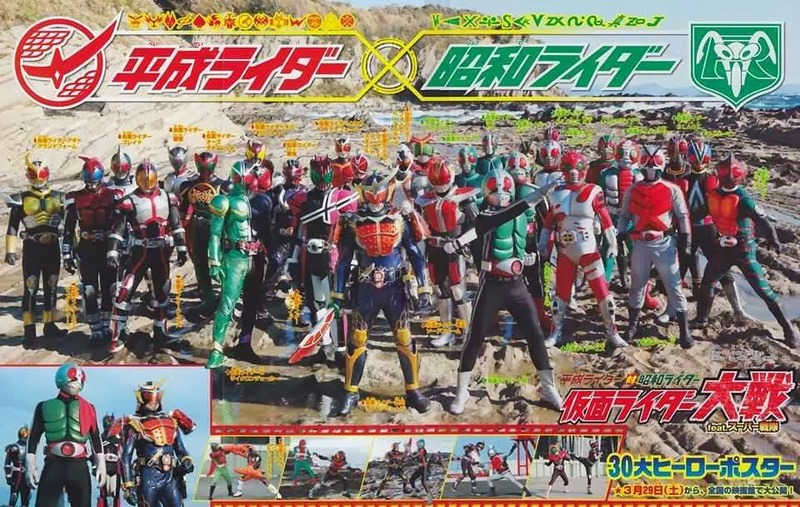 Produced by Shinichiro Shirakura (Super Hero Taisen), directed by Takayuki Shibasaki (Go-Busters vs. Gokaiger) and written by Shoji Yonemura (Let's Go KAMEN RIDERS), Kamen Rider War will premiere on March 29, 2014. 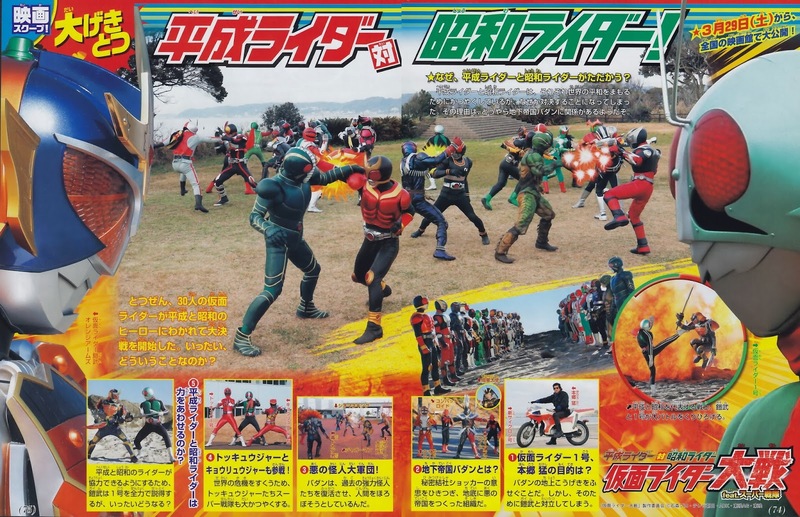 New pictures for the upcoming Heisei Rider vs. Showa Rider: Kamen Rider War feat. Super Sentai has surfaced online. 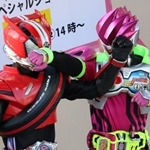 These new pictures feature the meeting of a couple of Heisei Riders. Seen above is a shot of Haruto Souma/Wizard (played by Shunya Shiraishi), Takumi Inui/Faiz (played by Kento Handa) and Keisuke Jin/X (played by Ryo Hayami) together. In the trailer, there is a scene where we see X fight Faiz. 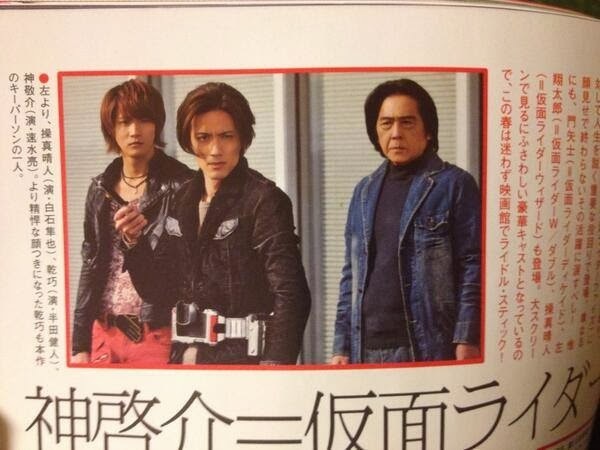 The question is why is X now side by side with Faiz? 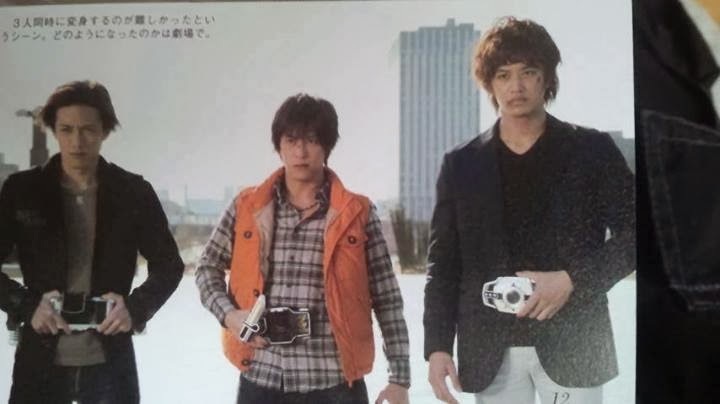 Seen above is a shot of Takumi, Kouta Kazuraba/Gaim (played by Gaku Sano) and Tsukasa Kadoya/Decade (played by Masahiro Inoue) before they transform into their respective Rider forms. The film marks the second meeting between Gaim and Decade since the two already met in Kamen Rider Wizard's 53rd episode. 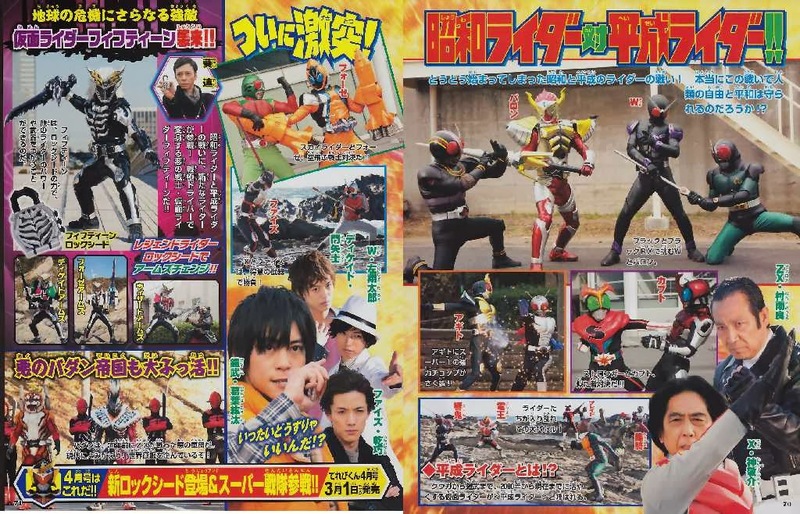 Laslty, here's a shot of 7 Heisei Riders charging into battle, Kamen Rider Joker beside Kaito Kumon (played by Yutaka Kobayashi) who is about to transform into Kamen Rider Baron and a shot of Kamen Rider Fifteen. We have previously reported, the winner of the Heisei Riders vs. Showa Riders battle at the end of the Kamen Rider War film are voted by fans. Online voting started last February 9th at 8 am (Japan time) and ended on March 28. Toei later opened polling booths in the threatres. 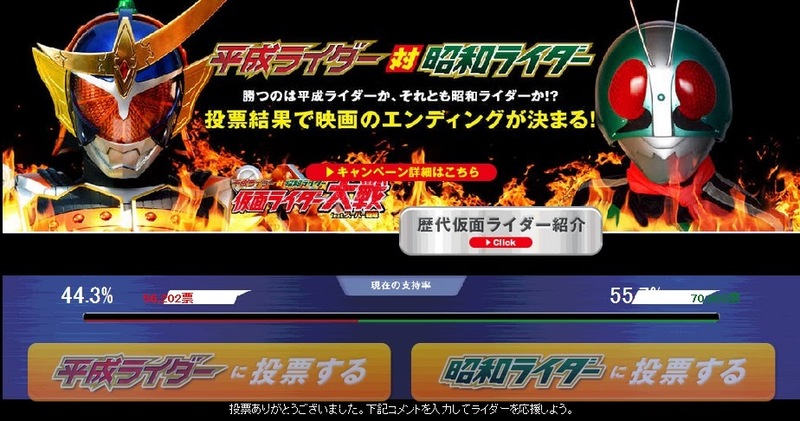 The online votes and theatre votes are then tallied to determine the winner, which is no other than the Heisei Riders. 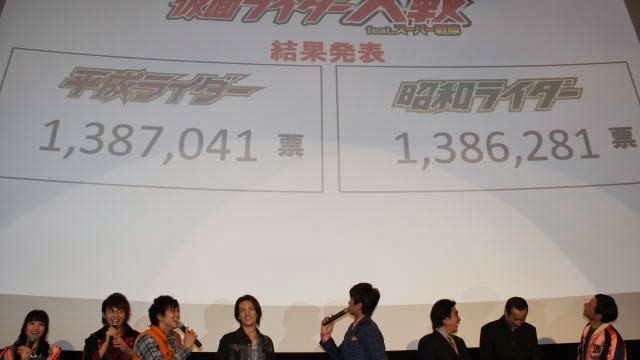 The Heisei Riders garnered a total of 1,387,041 votes while the Showa Riders garnered a total of 1,387,041 votes. Which means that the Heisei Riders won with only a difference of 760 votes. 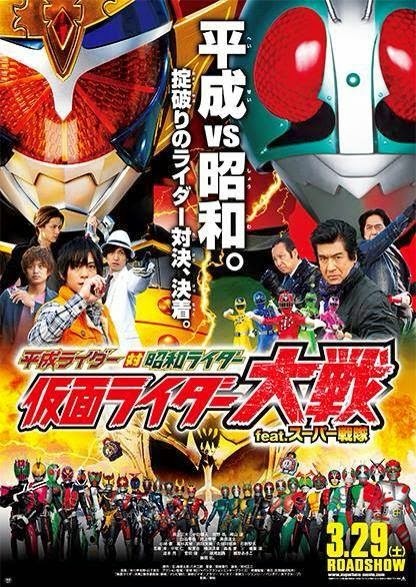 Produced by Shinichiro Shirakura (Super Hero Taisen), directed by Takayuki Shibasaki (Go-Busters vs. Gokaiger) and written by Shoji Yonemura (Let's Go KAMEN RIDERS), Kamen Rider War premiered last March 29, 2014.